Today, the well-anticipated guidebook from the Israeli military on how to prepare households in that country for WMD warfare was posted online. The document is a 48-page pdf. Not sure if you'll have the same issues I did in downloading it, but I found that I had to keep "reloading" about seven times in a row before it completed the process. Overall, because of that, it took about a minute with my DSL connection to get the whole document. It's certainly worth looking at. The advice is much different than what Americans are used to seeing, that's for sure. Primarily, the difference is the fact that in Israel, rocket attacks are a grim reality of life. The danger of WMDs being used there is clear and potentially imminent. Who is in Control of Pakistan's Nuclear Arsenal? Again, stay on top of this situation. Read this. Labels: War, War on terror, Why prepare? Will We Know If Extremists Gain Control of Pakistani Nukes? “The real danger for us now in the U.S. is that if this continues the way it’s going, the Taliban and al-Qaida could eventually have control of a nuclear arsenal,” says S. Eugene Poteat, a former CIA official. “And you know, we might not even know it. Because the way infiltration works by these people, you never know who they are. The brave, democracy-driven Benazir Bhutto was killed today in an extremist suicide attack in Pakistan. The former Prime Minister knew the grave risks she was assuming returning to her native Pakistan several weeks ago. Her ambition was to help stabilize and re-democratize a country that is increasingly the focal point of the struggle between the West and radical Islam. The stakes there ARE enormous--to include the Islamic nation's dozens of nuclear weapons, not to mention the welfare of more than 162M Pakistani citizens, most of whom remain liberal and westernized. Sadly today, the situation is clearly moving closer to the feared societal meltdown in Pakistan that would pose worldwide danger. Terror-wielding groups such as the Taliban and Al Qaeda are fully engaged and aiming for chaos in the region--attempting to gain control or influence over unknown numbers of susceptible members of the Pakistani military. If the radicals succeed in overthrowing the government there, the entire global dynamic becomes extremely volatile. My suggestion--watch this situation very closely and determine how this might impact your own readiness plan. Labels: Terror preparedness, War, War on terror, Why prepare? How do you visualize the risks and threats you are preparing for? One true and unbiased way is to look at researcher-tabulated data. Since 1988, the WHO Collaborating Centre for Research on the Epidemiology of Disasters (CRED) has been maintaining an Emergency Events Database - EM-DAT. EM-DAT was created with the initial support of the WHO and the Belgian government. The main objective of the database is to serve the purposes of humanitarian action at national and international levels. It is an initiative aimed at rationalizing decision-making for disaster preparedness, as well as providing an objective base for vulnerability assessment and priority setting. I strongly recommend you spend at least a few minutes perusing the EM-DAT site. I guarantee you will take away some eye-opening morsels for consideration. On that search page, you can call up lists of types of disasters and their impact for any country or region in the world for periods of time as long ago as 1900. A sample search I did was for the U.S., from 2000 to present, all types of disasters. The result was a list of 247 disasters, to include drought, earthquake, fire, disease, floods, storms, industrial and transportation accidents, and more. This is quite simply a stark reminder that disaster, when it strikes, is rarely going to be the type you might envision in your ongoing program of preparedness. One lesson to take away is that we need to NOT focus on any one type of threat as being THE danger we want to be ready for. Another lesson is that wherever we are, risk is always there on the periphery of our comfortable and secure existence. Thankfully, a good prep program is largely applicable across a wide spectrum of disaster risks. Thanks be to God for the gift of His Son. May the spirit of joy and hope be with you throughout the year. The U.S. Department of Homeland Security (DHS) reminds Americans that the New Year is a perfect time to Resolve to be Ready. The department’s Ready Campaign has outlined the top 10 items for a basic emergency supply kit so that every American can keep their preparedness resolutions next year. 3. Be informed about the kinds of emergencies that can happen in your area and their appropriate responses. To help get started, the Ready Campaign is issuing a checklist of the leading items needed in a basic emergency supply kit for the home or business. These items include: water, food, radio, flashlight, first-aid kit, whistle, moist towelettes, garbage bags and plastic ties, wrench or pliers, local maps, and personal items. For the complete list of items the Ready Campaign recommends including in your emergency kit, visit theReady Campaign Web site at www.ready.gov or call 1-800-BE-READY. Ready also suggests creating a smaller, portable kit for your home or office in case you need to evacuate immediately. The Web site includes free information, checklists and guidelines about the two other key components of preparedness – developing a family emergency plan and being informed. DHS promotes individual emergency preparedness through the Ready Campaign and Citizen Corps as part of a broader national effort conducted by the Federal Emergency Management Agency. Ready is a national public service advertising campaign produced by The Advertising Council in partnership with DHS. The Ready Campaign is designed to educate and empower Americans to prepare for and respond to emergencies, including natural disasters and potential terrorist attacks. Individuals interested in more information about family and business preparedness can visit www.ready.gov or call 1-800-BE-READY to receive free materials. Citizen Corps, DHS’ grassroots effort, localizes preparedness messages and provides opportunities for citizens to get emergency response training; participate in community exercises; and volunteer to support local first responders. To learn more and to get involved, contact your nearest Citizen Corps Council by visiting https://www.ready.gov/citizen-corps. WASHINGTON — Iran could sustain up to 28 million and Israel 800,000 casualties in a nuclear war between the two countries. A report by the Center for Strategic and International Studies envisioned a nuclear missile war between Iran and Israel that would last 21 days. Authored by former Defense Department strategist Anthony Cordesman, the report said Israel could conceivably survive a nuclear war, but Iran would not. "Iranian recovery is not possible in the normal sense of the term," the report, entitled Iran, Israel and Nuclear War, said. "Israeli recovery [is] theoretically possible in population and economic terms." [snip] Click on article title above to read whole article. Bruce Riedel, a former career CIA official and senior adviser to three US presidents, including Bush, tells Newsweek he came back from trip to Israel in November convinced that Jewish state would attack Iran. 'Israel is not going to allow its nuclear monopoly to be threatened,' he says. So Israeli PM Ehud Olmert's residence is being outfitted with an NBC (nuclear-biological-chemical) shelter. They admit to a saferoom but not a full-fledged nuclear bunker. I guess the nay-sayers would prefer their leaders stand front and center on the firing lines if and when things start to erupt over there hot and heavy. Something about being motivated for peace. Well, I for one think it is good, common-sense logic that bunkers and saferooms are so prevalent in the Holy Land. And yes, of course, Israeli leaders need to be afforded the best protection possible. Prime Minister Ehud Olmert's office issued a statement Thursday strongly denying a report that Olmert's residence was being outfitted with a bunker that can withstand a nuclear or chemical attack. The PMO called the Yediot Ahronot report "unfounded and misleading." The statement said workers were merely adding a "safe room," a room with thick concrete walls and metal-shuttered windows that is a feature of many Israeli buildings. Israeli construction codes require such rooms to protect residents in case of rocket attacks. "No atomic bunker is being constructed at the prime minister's official residence, or a bunker equipped with special filters or any special equipment," the statement said. Yediot Ahronot had claimed that workers at Olmert's official Jerusalem residence were thickening walls, digging, and installing air purification equipment capable of countering chemical agents. 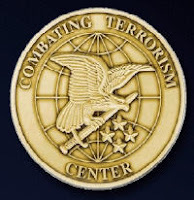 The "Combating Terrorism Center" at West Point has come out with their first issue of CTC Sentinel. It is disturbing enough that Pakistan is the real front line in the war against al-Qa`ida. The most frightening concern, however, is al-Qa`ida’s pursuit of a nuclear weapon. Pakistan is the world’s only Muslim state with nuclear weapons. According to the International Institute for Strategic Studies, Pakistan has an estimated 50-90 nuclear weapons. The former director of the Central Intelligence Agency, George Tenet, in his memoirs laid out in great detail al-Qa`ida’s efforts during the last decade to get its hands on a Pakistani nuclear device. If Pakistan becomes more destabilized, it is likely that al-Qa`ida will make every effort to get one. As I have stated previously, we should make no mistake on this one--Pakistan's ready-made nukes and missile technologies are a tantalizing target like no other these days for AQ. Those weapons and indeed Pakistan's very government are at their most vulnerable right now and we will be seeing every effort put forth by Bin Laden to seize the flame in that Islamic nation (polls today in Pakistan show Bin Laden is more popular there than Musharraf). Labels: Nuclear preparedness, War on terror, Why prepare? WASHINGTON (Reuters) - The United States remains unprepared for disasters ranging from biological attacks to a flu pandemic, and funding for preparedness is falling, according to a report released on Tuesday. Many states still lack a stockpile of drugs, masks, gloves and other equipment needed to battle a pandemic of diseases, despite five years of constant and detailed warning, the Trust for America's Health said in its report. "Overall, federal funding for state and local preparedness will have declined by 25 percent in 3 years if the president's FY (fiscal year) 2008 request is approved," the report reads. "Until all states measure up, the United States is not safe." The nonprofit Trust has been issuing reports every year for five years, and said the 2001 anthrax attacks, in which five people died when anthrax spores were mailed to several offices, should have been a wake-up call. The disasters caused by hurricanes Katrina and Rita that wrecked the U.S. Gulf Coast in 2005 should have galvanized more action and highlighted a variety of problems with U.S. disaster preparedness, the group said. But the report released on Tuesday still finds preparedness is spotty. See the website of "Trust for America's Health" - Preventing Epidemics. Protecting People. Dec 17, 2007 (CIDRAP News) – The World Health Organization (WHO) has sent a team to Pakistan to investigate at least eight suspected human cases of H5N1 avian influenza in the same general area, including cases in four brothers and two of their cousins, according to news services. WHO spokesman Gregory Hartl said limited human-to-human transmission in the cases is possible, according to an Associated Press (AP) report published yesterday. However, he told Nature that 40 contacts of the suspected case-patients have tested negative. If confirmed, the cases will mark the first human H5N1 infections in Pakistan. They also appear to constitute the largest cluster of related infections since eight cases (seven confirmed, one probable) occurred among relatives in North Sumatra in May 2006. Transmission of the disease from a 10-year-old boy to his father was confirmed by laboratory testing in that episode. In a Dec 15 statement, the WHO said Pakistan's ministry of health had reported eight suspected cases in the Peshawar area, in the wake of culling operations to control poultry outbreaks there. 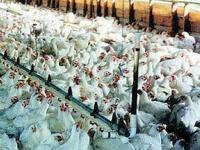 Peshawar is in the country's North-West Frontier province, near the Afghan border, where most of the country's poultry outbreaks have occurred. Samples from the patients tested positive in Pakistan's national laboratory and were being sent to a WHO reference lab for confirmation and further analysis, the WHO said. Doctors from the WHO in Geneva and Cairo and others from US Navy Medical Research Unit 3 in Cairo were on their way to Pakistan yesterday to help investigate the cases and combat the disease, according to a Dec 16 Bloomberg news report. The team planned to track down, treat, and test contacts of the suspected case-patients, according to the Nature report. Details of the suspected cases remained somewhat hazy today, as news reports varied in some respects. According to the AP, Hartl said the illnesses involved four brothers, two of whom died, and two cousins, all from Abbotabad, a city about 30 miles north of Islamabad. Specimens were never collected from one of the deceased brothers. The two men who died had been students at an agricultural college in Peshawar; they were not involved in culling poultry, but they visited another brother when he was hospitalized, the story said. Also among the suspected cases were a man and his niece from the Abbotabad area and a person who slaughtered poultry in Mansehra, 15 miles away, Hartl told the AP. He said some of the patients had had only mild symptoms and were never hospitalized. The Bloomberg News report, also based on information from Hartl, concurred that the suspected case-patients included four brothers. The first case was in an agriculture official who fell ill after culling poultry in the Abbotabad area in late October. He was cared for by two of his brothers, both of whom subsequently died, one about a month ago and the other on Nov 29. A third brother of the first man also got sick, was hospitalized, and recovered, the story said. The suspected cases also included two of the four brothers' cousins, who had only mild symptoms, plus a man and his niece who were involved in culling poultry in the area, Bloomberg reported. (It was not clear if the cousins were involved in culling.) Another case was in a male farm worker from Mansehra. Still another brother of the first man to fall ill lives in New York state but flew to Pakistan to attend the funeral of one of his deceased brothers, according to Bloomberg. On his return, he told his physician that he might have been exposed to avian flu and quarantined himself at home, after which his son experienced flu-like symptoms. Samples from both father and son tested negative in state and federal laboratories last week, the story said. Hartl told Bloomberg it was too early to tell whether the cases all spread from birds or involved limited person-to-person spread. He said some of the patients kept chickens and quail, and it was unclear what kind of protective equipment they used during culling. The Nature report said Pakistan was slow to inform the WHO of the possible cases, boding ill for the agency's hope of detecting any person-to-person transmission early and quickly providing antiviral treatment to stop a potential pandemic. The story said the first cases occurred in mid-November at the latest, but Pakistan didn't officially inform the WHO until Dec 12. Mountain House freeze dried food (in #10 cans, stores for 30 years) is our number one seller in our buyers club. Until this past September, Mountain House food pricing had remained unchanged for six years! Following the September 2007 price hike, they have subsequently announced to dealers that they will be adjusting their prices twice a year, going forward. Price stability in foods and other necessities is clearly becoming a casualty in the present global dynamics. Global food prices were under further pressure on Monday as benchmark prices for cereals at much higher levels came into operation, making it almost inevitable that a second wave of food price inflation will hit the world’s leading economies. In Chicago wheat and rice prices for delivery in March 2008 have jumped to an all-time record, soyabean prices are at a 34-year high and corn prices at an 11-year peak. Knock-on price rises are set to hit consumers in coming months, raising inflationary pressure and constraining the ability of central banks to mitigate the slowdown in their economies. A first wave of surging cereal prices hit the wholesale market during the summer and has fed through the supply chain and contributed to rising inflation. See also: "Why Are Prices Rising?" This time of year tends to be a high point in many households for family, friends, gift-giving, and appreciation of each other, doesn't it? I think it is also reasonable to at least briefly reflect again on how secure we are in our preparedness planning. For most, the objective is to provide a sense of well-being and peace of mind in our homes, knowing that we have done some good things toward being ready for whatever the future may hold. I know that's OUR reason for being at Safecastle Royal. We're here to make a difference and we're glad you're part of our circle of friends. 1. We've added another new product in our buyers club store--The Solio Universal Hybrid Solar Charger for your personal electronics ... just another smart way of staying viable through thick and thin. 2. We're offering a couple of new Mountain House products--now in #10 cans ... Sliced Bananas and Sliced Strawberries. Freeze-dried of course, and as with all MH canned foods--good for 30 years on the shelf. 3. We've still got volume pricing levels set up on our CELOX listing through the end of the year. This is a bonafide life saver that everyone should have on hand. 4. Our Maxpedition closeout sale is winding down, but we still have a number of great items available to members for 45% off list price. Stay safe throughout the season. God's blessings! Infectious-disease expert David N. Gilbert was making rounds at the Providence Portland Medical Center in Oregon in April when he realized that an unusual number of patients, including young, vigorous adults, were being hit by a frightening pneumonia. "What was so striking was to see patients who were otherwise healthy be just devastated," Gilbert said. Within a day or two of developing a cough and high fever, some were so sick they would arrive at the emergency room gasping for air. "They couldn't breathe," Gilbert said. "They were going to die if we didn't get more oxygen into them." Gilbert alerted state health officials, a decision that led investigators to realize that a new, apparently more virulent form of a virus that usually causes nothing worse than a nasty cold was circulating around the United States. At least 1,035 Americans in four states have been infected so far this year by the virus, known as an adenovirus. Dozens have been hospitalized, many requiring intensive care, and at least 10 have died. THIS is why I'm in crisis preparedness. To be able to really help people and perhaps even help save lives. CELOX is amazing stuff, and was approved by the FDA last year. It's in Iraq and Afghanistan and in most emergency response vehicles today. But every household and every automobile ought to have some on hand. It's so easy to use and so important to have if serious bleeding suddenly becomes an issue. It stores for four years and works in any environment--hot or cold. If the Washington Redskins football player, Sean Taylor (whose femoral artery was damaged a couple of weeks ago when he was shot in the abdomen during a burglary in his home), had had some in his house, he likely would have been saved. On a personal note, a dear aunt of mine died tragically this week in a car accident. She bled to death before help arrived. Needless to say, I wish someone at the scene had had CELOX in their trunk. Or that I would have been able to provide her with some beforehand. But I cannot change what has already happened. What I CAN do is help those around me to be in a position to deal with disaster if something similar happens to them in the future. I'm just taking delivery of my first large shipment in the next couple of days and I want to do whatever I can to put it in the hands of our friends out there. We've got volume pricing levels set up on our CELOX listing for this sale. Buyers club members of course get 20% off all the listed prices and free shipping, so the member price for a 35g pouch of CELOX is as low as $22.40 shipped. These sale prices are good till January, when the manufacturer's prices are going up. Still need to join the club? Just $19 for a lifetime membership. Join here. The political situation in Pakistan continues to raise major concerns around the world. Nuclear weapons in any country susceptible to instability is a volatile situation ready to disrupt reality around the world. "Everybody's scrambling on this," Oakley was quoted as saying. A participant of the last year's exercise said the conclusion of that war game was that there were no palatable ways to forcibly ensure the security of Pakistan's nuclear weapons -- and that even studying scenarios for intervention could worsen the risks by undermining US-Pakistani cooperation. "It's an unbelievably daunting problem," said this participant, a former Pentagon official, on the condition of anonymity. He went on to say that the planners really have not developed answers for how to deal with nuclear weapons stashed in Pakistan's big cities and high mountain ranges. "The bottom line is, it's the nightmare scenario," added retired Marine Col. Gary Anderson, who participated in an earlier exercise that simulated a breakup of Pakistan. "It has loose nukes, hard to find, potentially in the hands of Islamic extremists, and there aren't a lot of good military options," he said. According to an expert on Pakistani terrorism, who did not attend last year's war game but learned about some of its conclusions, senior US officials "weren't pleased with what the game told them; they were quite shocked." The US efforts related to securing Pakistan's nuclear arsenal involve "really, really black SAPs" -- that is, among the most highly guarded "special access programs," he said. Zia Mian, a Princeton University physicist and expert on nuclear proliferation in South Asia, expressed the view that such exercises "may actually make things worse." Among other negative repercussions, he predicted, any US effort to secure Pakistan's nuclear arsenal "would really increase anti-Americanism." NEW DELHI, India - Bird flu is a potentially lethal problem that will persist for years as the H5N1 virus strain continues to spread, pandemic experts were told Tuesday at an international conference in India. "The virus is still being transmitted between chickens and it is going into wild birds, which are carrying it long distances as they migrate," said United Nations bird flu expert David Nabarro. We're ALWAYS digging to get you the best emergency storage food deals to be had out there. Six new "Family Provisions" variety packs, assembled to feed a family of 4, for anywhere from 3 to 30 days, guaranteed to fit your budget. Most of these six variety listings come to you in one box, so they are easy to store no matter what your space limitations are. They're a good deal at their full list price, no doubt. Remember, everything always ships free at Safecastle Royal. But of course buyers club members get 20% off these list prices (as well as at least 20% off everything else in the store, all the time! ), by using their member's coupon code. Email me if you need your coupon code. Member pricing on these packages range from $54.40 for a 3-day package to $479.20 for a 30-day package for four. Get 'em while you can. Given the rather cyclical nature of the global threat environment, and the current spate of ominous rumblings in some circles, it's time for another common-sense pep talk. Perspective: I'm in the business of selling preps, from prefab steel fallout shelters to emergency food, water filtration to security systems, and on and on. So some people out there are puzzled when they find that I always recommend systematic, calm preparedness efforts ... that I do not subscribe to the "scare 'em into spending money" marketing approach. Here's the pitch I do offer: Do NOT panic. Are you on the verge of freaking out over something that MIGHT happen in the future? Hey, it does happen--often to some very smart, regular folks who normally live with their feet firmly planted on terra firma. My free universal advice is, do not sell everything you own and move to the boonies, or liquidate your investments. Do not put all your resources into your mattress and do not quit your job and warn your family that the end is near, just because someone on the internet or some situation in the news has gotten your undies in a bundle. Chances are VERY strong that near-term impact on your life is going to be minor for anything brewing right now. There's really no need to go into all the current risks, as there is always timely motivation out there for being prepared for danger. Always. Still, there are entire internet communities whose reason for being is to ride the waves of potential disaster, and when you are being honest about it, you have to conclude that that world is really about adrenaline rushes and power trips. No matter what day it is, or what season in the Mayan calendar of doom, if you want to do the right thing for your family, chill. Realize that there are ALWAYS reasons out there to think everything is coming apart. I've been prepping for 30 years to varying degrees, and I can tell you straight up--it is not healthy to ride the roller coaster of fear for very long. Neither is it conducive to maintaining a solid household financial structure. And worst of all--getting all wrapped around the axle over the threats du jour will almost certainly do serious damage to personal relationships. The most important goal in preparedness is about achieving peace of mind. It should NOT be about trying to defend or validate your worst fears, about blaming others for imagined difficulty, and it should not be about becoming habitually on the brink of panic. If and when major crisis actually does come calling, you need to be mentally prepared to deal with it. Stay cool now and maybe you will be able to handle tough situations in the future. Work on that and it is bound to help. If you feel panicked or a very urgent need to overreact right now, imagine what you might do in truly stressful situations. You can have all the preps in the world, but if you can't stay reasonably in charge of your faculties, you won't stand a chance when the chips are down. 1. Decide to progress at an affordable pace on a program that will improve your household's readiness. The logic of prepping is undeniable. Bad stuff happens to someone out there everyday. It MAY fall to you and yours someday. But the odds remain long in your favor that life will continue on quite nicely if you stay on a reasonable path that is balanced between your normal everyday obligations and the need to prepare for POSSIBLE downturns in fortune. In our household this Thanksgiving, we are grateful to God for a multitude of blessings, to include the amazing grace of living in a nation that is free and full of plenty. We certainly give thanks for U.S. citizens and our allies around the world whose vigilance and sacrifices ensure not only our continued well-being, but that also promote the growth of freedom elsewhere. May you and yours have a peaceful and fulfilling holiday, looking to God with thanks for a nation and people who are blessed and who strive to bless. One, obviously the troop surge earlier this year has gotten the job done in Iraq. In fact, Bin Laden released a tape recording a month ago essentially admitting defeat in Iraq. Two, that all those bad boys have found another, more urgent target of opportunity where their brand of jihadi chaos is needed right now. That is, Pakistan. Look for the turmoil, confusion, and violence in chaos to jump sharply very shortly. There is a chance at least some of those Islamic nukes may shake loose when Musharraf releases his grip, so al Qaeda is going to throw all available resources into it. Count on it. Violence in Iraq has fallen at a rate that has surprised military commanders and even one of the architects of the “surge” that boosted US troop numbers in the country this year, according to figures gathered by the US. The figures show the numbers of suicide attacks, roadside bombings, mortar and other attacks on US forces and on the Iraqi population have more than halved since 30,000 extra troops in June. Labels: Nuclear preparedness, War, War on terror, Why prepare? Another chilly wind blows through from the north. MOSCOW — President Vladimir Putin cautioned Tuesday that Russia would increase the combat-readiness of its strategic nuclear forces to ensure a "swift and adequate response to any aggressor." Putin also said that Russia will be pulling out of a key arms control treaty, which he calls a necessary response to NATO "muscle-flexing" near its frontiers. The statements, which come amid simmering tensions between Moscow and the West, reflect the Kremlin's assertive posture less than two weeks before Russia's Dec. 2 parliamentary elections. "In violation of previous agreements, military resources of NATO members are being built up next to our borders. 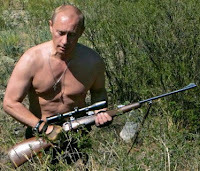 Of course, we cannot allow ourselves to remain indifferent to this obvious muscle-flexing," Putin said in televised remarks at a meeting of top military officials. Arnaud de Borchgrave has some excellent connections in the international arena. His interview excerpted below is worth a full read at Newsmax. The U.S. is at war not with a political movement, but with Muslim extremism on a global scale, says influential journalist and Newsmax columnist Arnaud de Borchgrave. In an exclusive Newsmax interview, de Borchgrave warns that the situation in Pakistan, a nuclear power, is growing graver as al-Qaida and the Taliban maintain influence in key border areas and President Pervez Musharraf loses control. 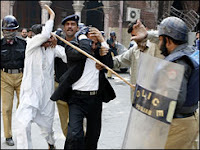 Newsmax: How serious is the current situation in Pakistan? Newsmax: How much control do the Taliban and al-Qaida have over Pakistan at the moment? De Borchgrave: They control the key tribal areas, known as North and South Waziristan, and to a lesser degree, some of the other tribal [regions] that border Afghanistan. But it’s total control in North and South Waziristan, which are the key areas for us in terms of Afghanistan. Newsmax: Are they making any progress elsewhere in Pakistan? De Borchgrave: Yes, in the Swat Valley, which is a highly prized tourist attraction in Pakistan inside the northwest frontier province. The [Pakistani] army has gone in there and taken casualties and then backed away as Taliban reinforcements arrived. The army backed down. The army is fed up at this point because they feel that they’ve been carrying out America’s orders transmitted by General Musharraf. Newsmax: Is Musharraf in danger of losing control of the army? De Borchgrave: Yes. In the next few days following [U.S. Deputy Secretary of State] John Negroponte’s visit this weekend, I can see General Pervez Kyani, who was going to become number one when Musharraf was confirmed as president, [taking] off his uniform. General Kyani was head of ISI, the Interservices Intelligence agency, and was private military secretary to Benazir Bhutto when she was prime minister in the late ‘80s. ... the army clearly is divided between those who are Western oriented, who have been to staff schools in the United States, and others who are hard-line in terms of Islam. They are the ones who don't want to take on al-Qaida, don't want to fight Taliban. After all Taliban was invented by the ISI right after the Soviets pulled out of Afghanistan in February 1989. ISI at one point was run by General Hamid Gul, who hates America with a passion. Hamid Gul is an Islamic extremist and he’s also the strategic adviser to the six political religious parties in the coalition that governs two of Pakistan's four provinces. When you look at public opinion polls in Pakistan, Musharraf scores in the single digits, Bush in the teens and Osama bin Laden at 46 percent. I don't think there's any danger of al-Qaida getting hold of nuclear weapons, though that danger is always there. What I see is perhaps a split in the army and Islamist extremists within the army taking control of these nuclear storage sites. There are about six of them. 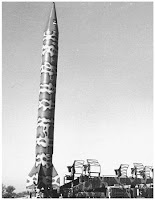 They have separated warheads from delivery systems as well as separated nuclear cores from the detonators, so it is well dispersed. To get one weapon, they would have to put four parts together and they're stored in different parts of the country. That would not be accessible to al-Qaida unless somebody in the army were to get hold of all the different codes to access all these different places. I think it's highly unlikely but it's always a danger. Labels: War on terror, Why prepare? Debka is reporting additional info this evening on the report leaked out of Israel earlier today, and partially provided and referenced on this blog ... "Israel Prepping for 'Day After' Teheran gets the Bomb." The agency indicates that the Israeli prime minister ordered cabinet officials in a secret memorandum to present proposals for “the day after” Iran owned atomic warheads, meaning the day after Israel loses the military edge of its monopoly as the only nuclear-armed nation in the Middle East. Without disclosing the contents of the proposals, Reuters quotes two Israeli sources as referring to the long-term ramifications to be addressed on Israel’s security and response capabilities and the effect on the public. DEBKAfile’s political analysts report: The leak, albeit denied by the PM's spokesman, pointed to Olmert’s conviction that US-led diplomacy and sanctions for halting Iran’s acquisition of a nuclear weapon have reached a dead end, and the only option left to the US or Israel is a pre-emptive military strike, just as Israel bombed Iraq’s nuclear reactor in 1981. The report Dr. Mohammed ElBaradei is due to present is not expected to prove otherwise. Our sources note the proximity of the prime minister’s presumed leak to the US-promoted peace conference in Annapolis on Nov. 26. What it says is that if the Bush administration cannot meet its pledge to prevent Iran acquiring a nuclear bomb, which is an existential threat to Israel, how can the same administration be trusted to deal effectively with the issue of an Israel- Palestinians settlement in consequence of the Annapolis meeting? It may therefore be postulated that the Israeli prime minister acted to derail the conference by drawing a red line which Israel refuses to cross in the interests of its security. The Reuters report may even be his response to the “Israel should make painful sacrifices” speech which US Secretary of State Condoleezza Rice delivered to a Jewish audience Tuesday, Nov.13, in Nashville, Tennessee. Her argumentation sent a shudder through Israel’s intelligence and defense community. Analysis of the speech, which the State Department quickly released in full plus video, shows strikingly that “Palestinian statehood” has been substituted for “Middle East peace” as a central US policy objective. Peace and peacemaking have therefore been exed out as a prerequisite for the Palestinians. By presenting a Palestinian state as the main bulwark against Middle East extremists, she placed Mahmoud Abbas and Salam Fayyad at the forefront of the battle against Hizballah, Hamas and Iran, and deposited the security of the entire Middle East in their hands. This thesis left Israeli security circles long familiar with the pair’s capabilities aghast - especially after their defeat in Gaza. 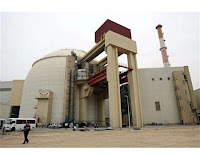 Therefore, the report claiming Olmert had given instructions to start preparing for a possible nuclear-armed Iran may equally apply to the bombshell Rice dropped on Israel’s head, and a signal to the Bush administration that Israel proposes to look after its own security rather than leaving it in other hands. This just came out as a part of Arnaud de Borchgrave's column posted this afternoon. He has a direct pipeline to Bhutto. See what she emailed him, to include closing comments of his own. 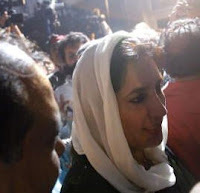 In an e-mail message to this reporter Wednesday, Benazir Bhutto, the embattled Pakistani leader under house arrest, said, "I very much fear the risk of civil war. The longer (President) Musharraf stays, the worse it's going to get. I knew it was bad but after coming here (from eight years of exile), I am shocked at just how bad. The militants are spreading everywhere not because people want them but because the administration unilaterally withdraws without a fight leaving the people of the town or village at the mercy of the long-haired, bushy faced barbarians who terrorize the local population and subdue them by shooting and killing randomly. I am just wondering how long it's going to be before the militants march on Islamabad." 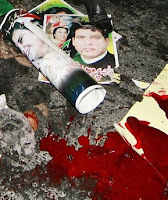 Twice prime minister in the 1980s and '90s, Bhutto continued, "It may sound dramatic but the picture here is frightening. Pakistan is slowly disintegrating and it seems everyone is paralyzed into ignoring the calamity that is coming. The district headquarters of Shangla Hills fell today. The local population was ready to resist but didn't have the resources. The government didn't send any reinforcements and the local administration disappeared. In fact, it seems like the buddies of the militants had already been appointed." The Pakistani army ceased operations a month ago against the Taliban and al-Qaida in the tribal areas on the Afghan border. Army units dispatched to the scenic Swat Valley, inside the Northwest Frontier province, have met strong resistance as more militants arrive from nearby towns and villages. Pakistan, one of the world's eight nuclear powers, is the ultimate nightmare scenario. The army is the custodian of secret nuclear weapons sites, deep underground. But the army is in disarray and the widely despised army chief and president, Pervez Musharraf, clings to power by enforcing martial law. Israel is preparing for the possibility of Iran acquiring nuclear weapons, the Reuters news agency reported Thursday. According to the report, Prime Minister Ehud Olmert has instructed his ministers to draft proposals on how to cope with a nuclear Iran. The agency quoted a source close to Olmert as saying there were "long-term ramifications to be addressed, like how to maintain our deterrent and military response capabilities, or how to off-set the attrition on Israeli society that would be generated by fear of Iranian nukes." Israel has supported international efforts to stop Iran's atomic development through UN Security Council sanctions, and several Israeli officials have also hinted that Israel could attack Iran's nuclear facilities if diplomacy fails. Reuters reported that Israel was developing its defense systems to fend off a possible Iranian attack. It added that Israel was constructing a fleet of German-made submarines which could possibly carry nuclear missiles, sending a clear message that there would be retaliation for any Iranian attack. D.C. Islamic Group Aims for "Islamic State of North America" by 2050! "As-Sabiqun is an Islamic movement that believes in the Islamic State of North America no later than 2050. Those who engage in this great effort require a high level of commitment and determination. We are sending out a call to the believers: Join with us in this great struggle to change the world!" Labels: Cultural realities, War on terror, Why prepare? We normally try to avoid here the hyperventilating and chest-thumping that often punctuate current economic ups and downs. But we offer this posting by Dan Dorfman as another heads-up to readers about the increasing urgency to get prepared for tougher times. ... Mr. Melcher, a market bear, had some pretty discouraging words. "What I think is not good for the country, but good for me." he says. His basic advice to the country's roughly 80 million stock players: Run for the hills — the worst is far from over. An investor's stock portfolio now, he believes, should be only about half of what it might normally be. With the housing market in a state of collapse — and he says he believes it is far from over — Mr. Melcher argues that average homeowners will not be able to withstand the kind of recession he sees, given the added burdens of rising energy and food costs, and continued deterioration in the credit markets. Noting that consumption is already slowing, Mr. Melcher figures sharply rising unemployment is inevitable. Another of his worries is that central banks around the globe, America's included, are debasing their currencies, which is setting the stage for a new round of higher inflation. Our bear figures the next six to 12 months will be awful for investors as the market goes down "pretty substantially." His frightening outlook calls for an additional 20% to 30% decline from current levels. A drop of that magnitude would put the Dow down in a range of roughly 9,100 to 10,400. ... The average investor, he believes, should seek to protect his assets by raising cash, putting money to work in short-term treasuries, and buying some gold (notably through StreetTRACKS Gold Trust, an ETF that tracks the price of the precious metal and trades on the Big Board under the symbol GLD). Is the world coming to an end? I asked our bear. "I don't think so," he replied, "but as I mentioned, the ingredients are in place for the worst kind of a recession, which means it's the wrong time to own stocks." 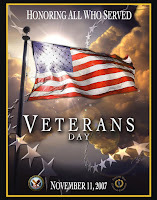 An excellent place to spend some time (and even participate) is the Veteran's History Project, sponsored by the Library of Congress. It is an ongoing effort to collect veterans' stories from all the nation's recent wars. Competitive Hyperbole ... Or H5N1 Alert? This gentleman may simply be scrapping for position in the ever-more competitive fight for alarmingly bold headlines. Or, could it be a none-too subtle clue to what's ahead? 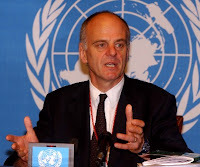 Today, David Nabarro, UN coordinator for avian flu and influenza told the A.P. in Tokyo that illnesses from animals are "one of the greatest threats to the survival of the human race." Clearly, bird migrations, as winter approaches the northern hemisphere, make for an increased risk for proliferating viral infections in birds. Nabarro was commenting after Vietnam's Department of Animal Health announced that dozens of ducks in that country's southern regions had died from the lethal H5N1 avian flu strain. Nabarro said: "When you get a high concentration of diseased birds, the risk of the virus coming into the human population seems to increase. Each time a human is infected with the virus, the possibility of the mutation to cause the pandemic flu comes along and that's what we're on the lookout for." Never a dull moment, is there? (CBS) The upheaval in Pakistan has experts fearful on two fronts. First, there is a deep concern over the security of the 80 to 100 devices in Pakistan's nuclear arsenal, CBS News correspondent Bob Orr reports. "If Pakistan were to deteriorate further, the control of those weapons would be up for grabs," said Stephen Cohen of the Brookings Institute. "And we don't want to see that happen." That could trigger an unthinkable cataclysm - if those weapons were taken by a rogue state or a terror group. And that's the second worry. Al Qaeda is a re-invigorated enemy that's poised to take advantage of the turmoil. “It has to increase the threat against the U.S. because it gives al Qaeda precisely the breathing space, the opportunistic moment in time now that they will have now because of the distraction because of the instability in Pakistan,” said terrorism expert Bruce Hoffman of Georgetown University. Labels: Terror preparedness, War on terror, Why prepare? Our supplier was stocked for a big hurricane season. It didn't happen and now our customers are poised to benefit--cases of MREs for as low as $69, shipped to the lower 48! - Most everything you could want or need is included--the new heaters, accessory packs, snack and main entree. All you need is a little water for the drink mix. These are the same MRE contents as those being used by soldiers in Iraq and Afghanistan. They were packed in July 2007 and are good for 3-10 years, depending on your storage conditions. We've got great prices on these for a short time so the supplier can move them and make room for more product in his warehouse. Check out the listing. Remember--members get 20% off list price AND FREE shipping. Do the math--you won't find a better deal on fresh MREs. 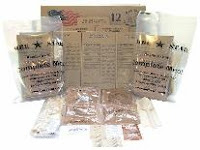 As little as $69 per case of 12 MREs, shipped! If not a buyers club member yet--get your lifetime membership for just $19. The need to have emergency stockpiles of food and water does need major attention across the country. It's common sense to have food stored for public use in the event of supply-line disruptions (see the previous blog post). To read the whole article, click on the title below. Tens of thousands of Kansas Citians could face critical food and water shortages in a pandemic flu outbreak, a new report says. The reason? They’re too poor to stockpile supplies for a flu crisis. “I’ve been talking about this for three years — how are we going to feed people?” Kansas City Health director Dr. Rex Archer told the city council’s Finance and Audit committee Wednesday. Archer met with the committee to discuss a new study by the Kansas City Auditor’s office. It found government officials are trying to prepare for a flu outbreak that could make hundreds of thousands of residents sick. Public health guidelines say families should stockpile a two-week supply of food and water for an emergency. In Kansas City, the report estimates, between 10 and 15 percent of families now have a three-day supply of food and water. Labels: How to be ready, Pandemic preparedness, Why prepare? "I spent about thirty years working in commercial agribusiness. My main job was to purchase ingredients, mainly grain, for flour mills and animal feed mills. As a part of my job I was forced to understand the US food supply system, its strengths and weaknesses. Over the years I became aware of some things that nearly all Americans are completely unaware of. I am going to make a list of statements and then you will see where I'm going. --1% of the US population grows all of the food for all Americans. --Nearly all Americans know essentially nothing about where the food they eat every day comes from. How it gets from the ground to them. And they don't want to know about it. It's cheap, as close as their local store, and of high quality. So no worries. --The bulk of the food we eat comes from grain. Although they raise a lot of fruits and vegetables in California, Arizona, Florida, Oregon, and Washington, those things don't compose the main part of the average diet. Half of what a meat animal is raised on is grain so when you eat meat you are really eating grain. And, of course, we eat grain directly as bread, bagels, doughnuts, pasta, etc. Milk (and milk products like cheese) comes from cows that eat grain. A lot of grain. And the grain they eat is not produced where the cows are located. --The lion's share of grain produced in the US is done in a concentrated part of the US Midwest (Illinois, Iowa, Kansas, Missouri is the center of this area). The grain is moved to the coasts (where 70% of the population live) by only two (2) railroads. --Nothing is stored for very long in a supermarket. One day grain travels (by rail) from Kansas to Seattle to a flour mill. The next day the flour mill makes the flour and sends it to a bakery. The next day the bakery makes it into bread (and other baked things) and the next day it is at the store where it is purchased that day. Nobody stores anything. The grain is produced and stored in the Midwest and shipped daily in a single pipeline to the rest of America where the people live. --Up until the 1980s there was a system that stored a lot of grain in elevators around the country. At one time a whole year's harvest of grain was stored that way. But since tax- payers were paying to store it, certain urban politicians engineered the movement of that money from providing a safety net or backup for their own food supply in order to give the money to various other social welfare things. So now, nothing is stored. We produce what we consume each year and store practically none of it. There is no contingency plan. "Now for my take on what this means for us and what it has to do with the topic you are publicizing. --If a drought such as has lingered over other parts of the US where little grain is grown were to move over the grain-producing states in the Midwest where few people live, it would seriously damage the food supply of the country and the apples of Washington, the lettuce of California, the grapefruit of Florida and the peanuts of Georgia won't make up the difference because grain is the staff of life and most of it is grown in the Midwest. --Americans are armed to the teeth. In LA people burned down their own neighborhoods to protest a court case. --In order for riots to break out the whole food supply doesn't have to be wiped out. It just has to be threatened sufficiently. When people realize their vulnerability and the fact that there is no short term solution to a severe enough drought in the Midwest they will have no clue as to what they should do. Other nations can't make up the difference because no other nation has a surplus of grain in good times let alone in times when they are having droughts and floods also. It takes two or three months to raise grain, yet people have to eat usually at least once a day, usually more than that. --So basically we have in place a recipe for a disaster that will dwarf any other localized disasters imaginable. The important thing to note is that there is no solution for this event. There is no contingency plan for this. People living in certain parts of the US will fare better than others (which is another story) but those who live in big cities, where most of the US population live, are done for. "Anyway, I have no agenda of my own concerning this. I just thought I'd share it with someone who appears to have an idea of what might likely cause this scenario to occur. The only people who know about this are those who are involved in the production and distribution of the food supply and there are very, very few of them number-wise. And most of them haven't put two and two together yet either."